What if you had free rein to completely redesign one of your favorite websites? As a creative exercise, the designers below did just that for YouTube, LinkedIn, Trello, and more. 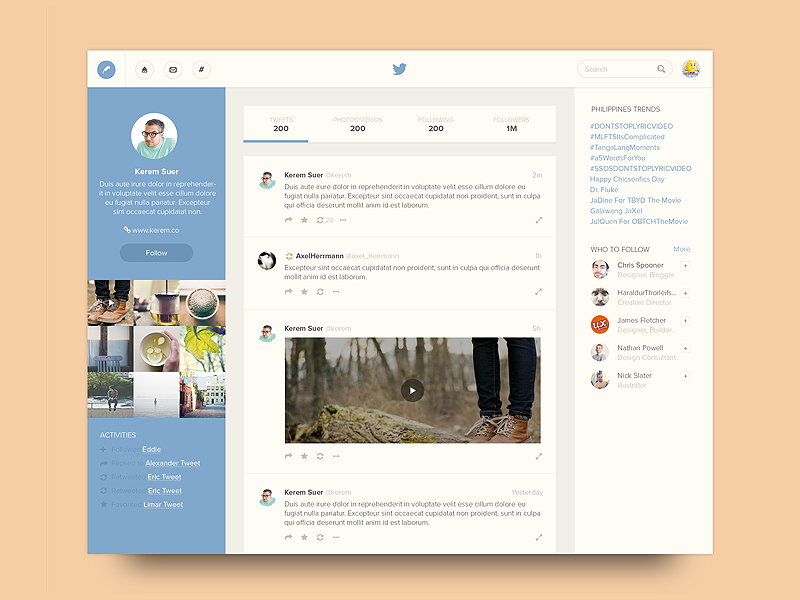 Here are our nine favorite website redesigns, found on Dribbble. By Kolby Duke. Craigslist’s link-heavy layout serves one purpose: to connect buyers and sellers with no extra frills. Kolby redesigned the website to be more approachable, interactive, and skimmable. The soft shades of blue, yellow, and pink make it more modern and add some visual appeal. She also took a stab at improving the user experience. After conducting user research, Kolby discovered that the primary user complaint was lack of transparency. So, she added a customer rating feature for each seller. Customers could filter out sellers who had no customer ratings or who only have a five-star rating to help their peace of mind. By Luke Pachytel. The beauty of going to IKEA is wandering through room after room, completely designed and staged so you can instantly imagine how your own bedroom or bathroom would look. Luke and his team wanted to extend this idea to the IKEA website as well. 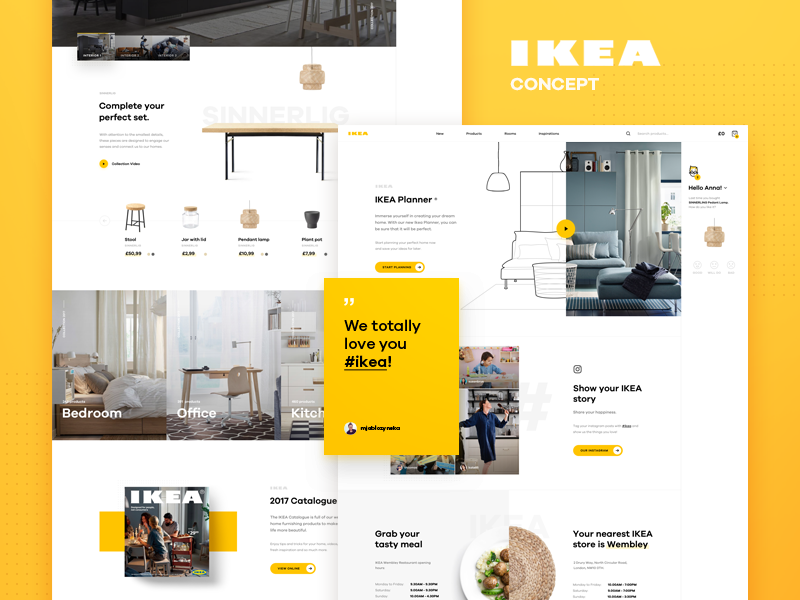 The redesign highlights complete interior arrangements in a less cluttered way than the current IKEA site. They also introduced the concept of a chatbot who could guide buyers through the purchasing experience. This chatbox also mimics the in-store experience by providing the same level of customer support as the sales associates. You can read more about the inspiration for this redesign here. By Sebastiano Guerriero. 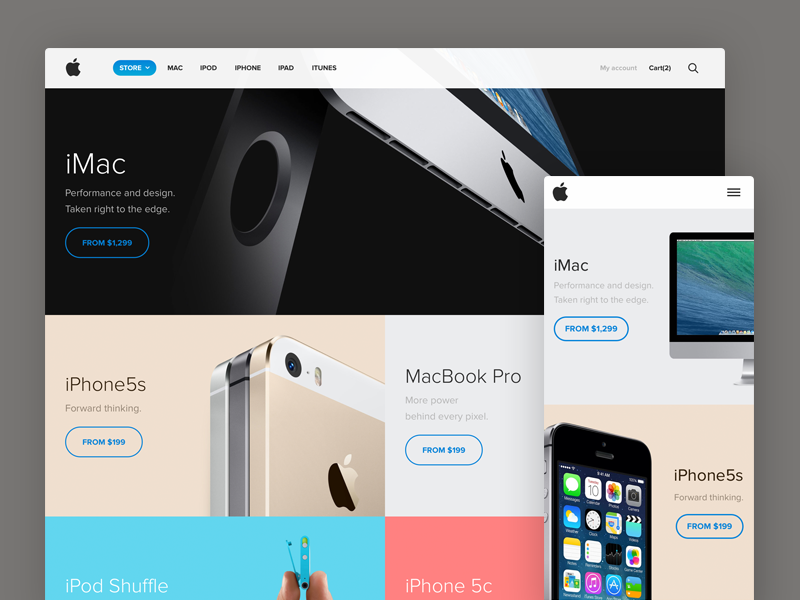 Taking inspiration from the current Apple Store, Sebastiano followed a clean, block-style layout that places the emphasis on each device. He added his own personal touch by sprinkling in pops of color and revamping the cart experience. Sebastiano also coded the concept and you can visit the page here. By Aurélien Salomon. Millions of people watch videos on YouTube each day, but what if that experience were more like the movie theater? 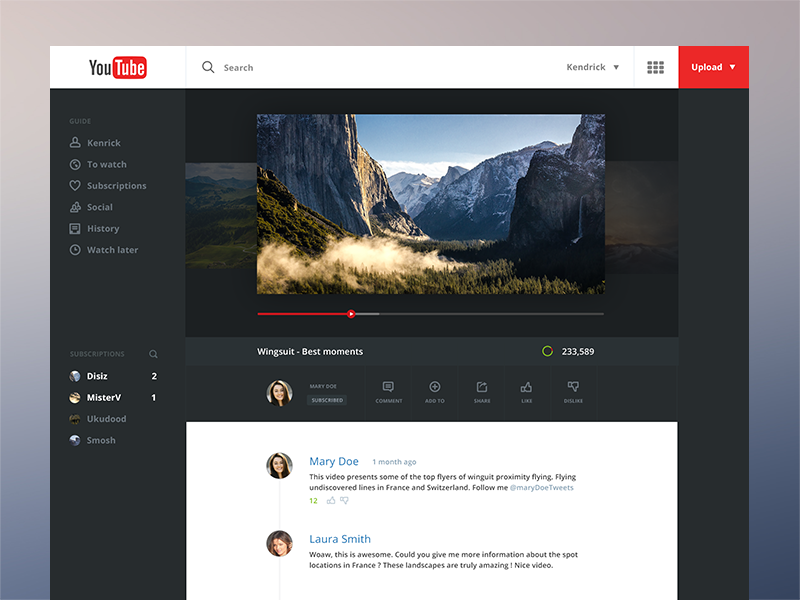 Aurélien’s major change to YouTube was to introduce a darker interface to mimic the cinematic experience. The default interface would be white, but would fade into black when a video starts. Video, settings, and subtitles appear when you move your mouse, making the area around the video less cluttered. He also changed the play button to follow the slider. By Artem Troinoi. This redesign of The New York Times relies on a completely new user experience: When someone registers for an account, she needs to select her areas of interest (health, technology, and sports for example) and The New York Times’ new grid layout will dynamically change to only include those kind of stories. Artem also introduced a new navigation bar where a reader can see her reading progress, can read the “thesis” version of the article (a condensed version of the full-length article), and move between articles. Read more about this redesign here. By Michal Parulski. After Atlassian acquired Trello, Michal thought it was the right time to suggest some changes to his team’s favorite productivity tool. The main layout got a new color and the cards look cleaner and more refined. 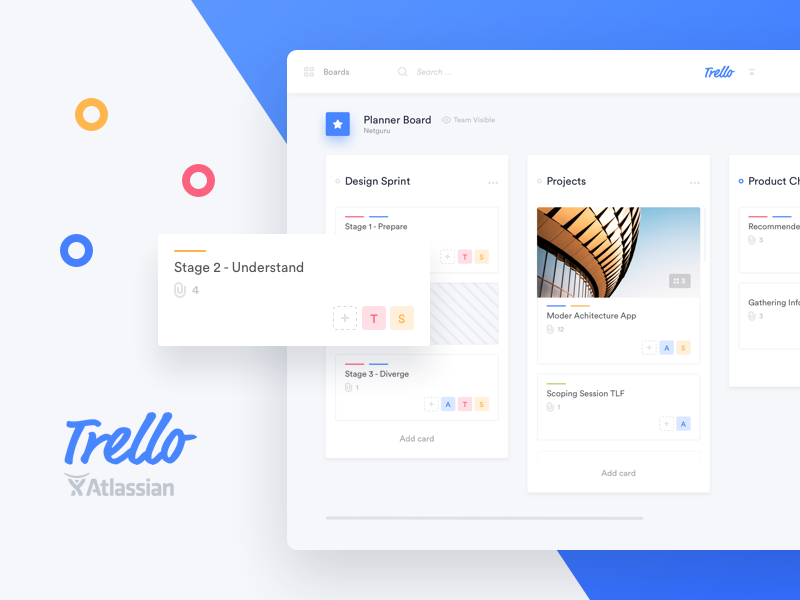 He also added navigation tabs to make it easier to switch between the main view and the calendar, and assigned every board to an individual and universal color to improve navigation. By ramil. A new, three-column Twitter profile makes it easier to know where to focus your attention. The blue sidebar highlights relevant information about the person, while the widest column emphasizes the tweets. The design also eliminates the header image, which just pushes down the important content on your feed. By Tintins. eBay’s current homepage has a lot of color, but once you get into the individual product pages, every hint of eBay’s branding disappears. 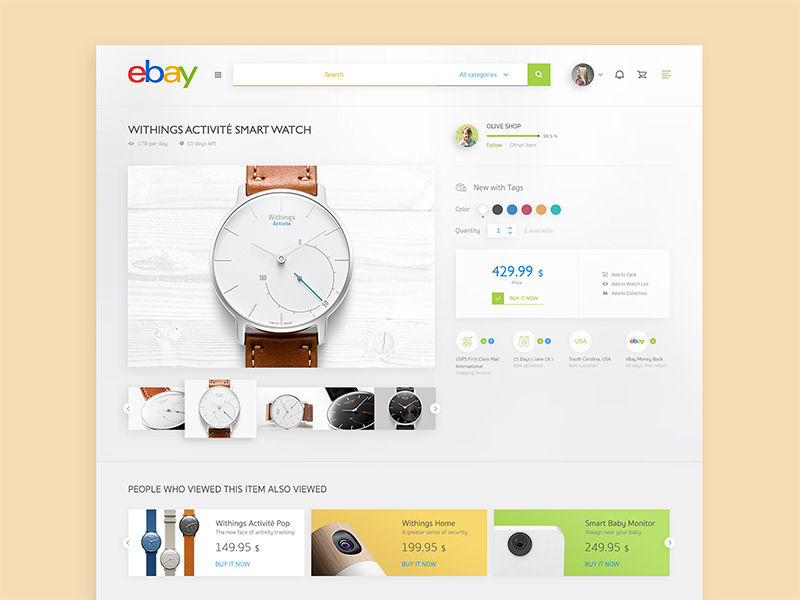 In Tintins’ redesign, eBay’s core colors are subtly infused into icons, fonts, and even the search bar. eBay’s product pages are built by each user uploading images and updating theri listings, so a templated redesign like this one would be hard to implement. However, it does show the potential for uniformity with clean, cohesive blocks of content. By Barbara Morrigan. In perhaps the most dramatic redesign, Barbara completely revamps LinkedIn’s visual identity, layout, and user experience. 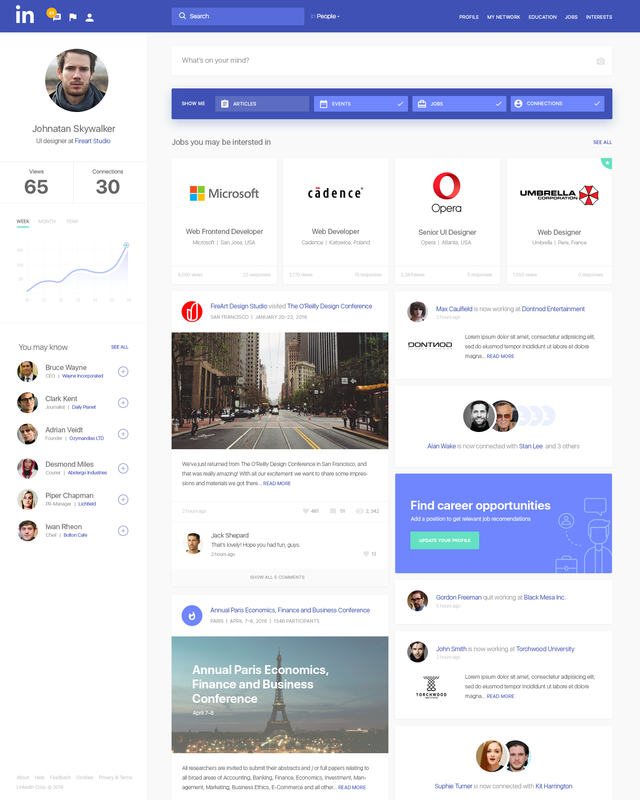 On the user’s homepage, she has the option to customize what kind of content she wants to see by filtering by articles, events, jobs, or connections. Job listings are displayed more prominently as well. Did we miss your favorite website redesign concept? Share it with us on Twitter: @InVisionApp. Next articleBad UX Roundup #16: You are not Viagra. What are the best books on typography for UI designers?